Did you participate in January’s book club? If so, you are probably fired up for prayer! I believe there is a prayer awakening among God’s people. When I look at prayer resources on Amazon, I see huge jumps in their sales ranking. I receive emails from people nearly every day expressing a desire to pray more consistently and more in-depth. 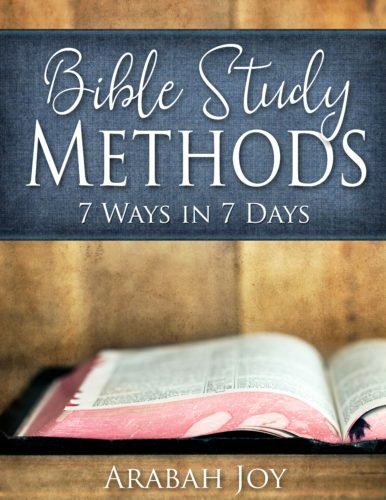 It is a hands-on resource for actually Praying God’s Word. 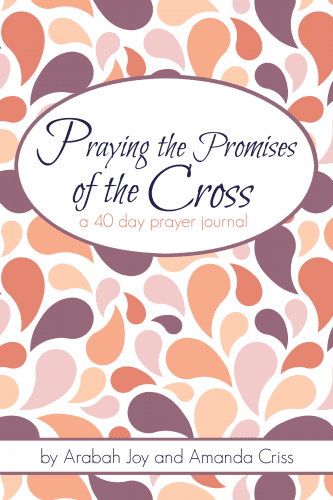 Praying the Promises of the Cross is our very own resource and is a collection of cross-centered Scriptures and beautiful journal pages. We designed it especially for our upcoming Praying the Promises of the Cross Challenge beginning February 10th, as a countdown to Easter. We invite everyone reading this to join us beginning February 10th as we pray ONE Christ-centered promise each day for 40 days. 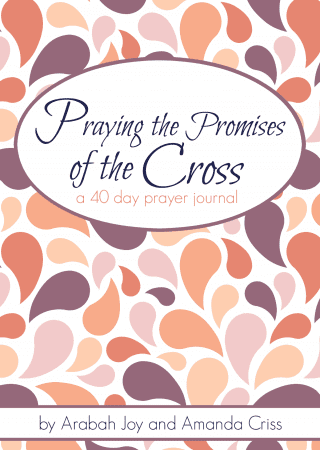 Imagine saturating your mind and heart on the promises and person of Christ for 40 days! Then praying those promises for yourself, family, and community? Okay, I’m a *little* bit excited about that! 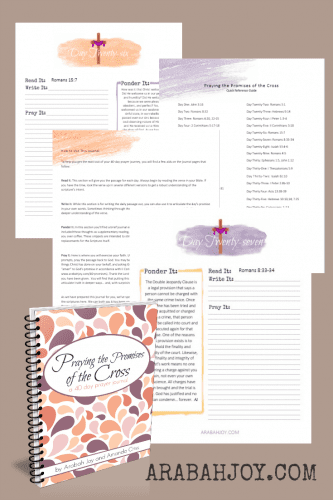 To help our readers complete this challenge, we have created a brand new resource: Praying the Promises of the Cross. 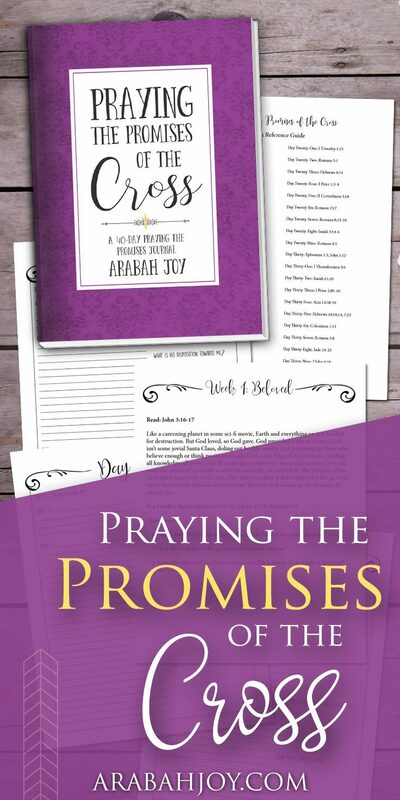 Praying the Promises of the Cross was carefully designed to help take the guess work out of praying the promises from God’s word. 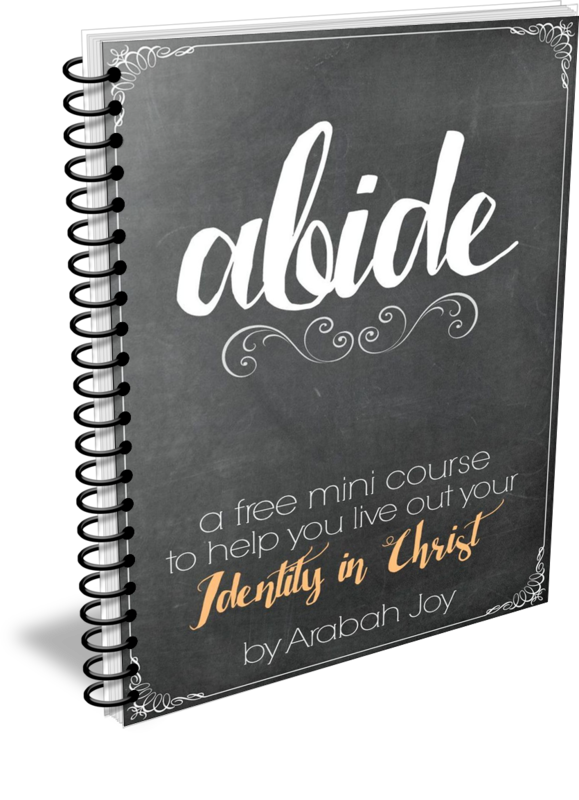 This downloadable resource addresses the most common obstacles to praying scripture and will help you actually pray God’s word and articulate biblical prayers through journaling. Then go here to order your copy! 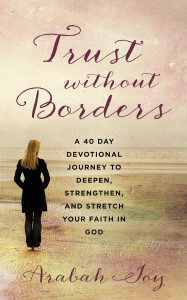 We will post more details about the 40 Day Prayer Challenge soon. Can’t wait to join arms with you all and beseech our God and King to let His Kingdom come on earth as it is in heaven! does this also come in an actual journal, or only online? The journal is currently only in the printable version. Hopefully the printed version will be available in the next couple months. will it come as a complete set or delivered every day by email?